Among the most important parts on any car is the wheels, which are the only part of your automobile that actually touch the road. Over the years, the tires on your vehicle will start to wear out and will require replacement. When this time comes, you need to make sure that you properly weigh your options so you can get the tires that you need. 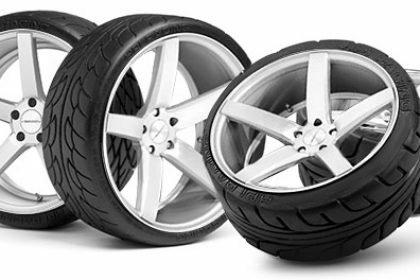 One of the best ways to get the wheels that you need without having to spend a lot of money is by purchasing used tires. The following are a few tips on choosing the right used Mercedes AMG rims and tires when the time comes. The first thing that you need to look for in a good used tire is the amount of tread that is left on them. You want to choose a set of used tires that has a significant amount of tread left on them because this will help to ensure that they last for a long time. The last thing that you want to do when trying to buy used tires is overpay for a set that will wear out in a short amount of time. When trying to find the right used tires, you will need to check for signs of age. Things like cracks or tread separation can be signs that the tire is on its last legs. If you notice a lot of cracks in the tire, then it probably means that the tire is dry rotted from age. In some cases, you may be able to find a manufacturers date on the tires, which will give you an idea on how old the tires are. The more you are able to find out about the used tires you are buying, the better off you will be in the end. Another very important thing that you need to check when trying to find the right used tires is any patches or defective materials that may be present. If you come across a tire that has a lot of patches on the inside of the tire, then chances are you need to pass on it. The more patches that you find on a tire, the weaker the overall structure is. By taking the time to find the right used tires, you will be able to avoid premature blowouts and other potentially dangerous occurrences. The only way to get the best possible wheels is by taking the time to research the sellers in your area.